What process do you robotize? In the 21st century, we are still facing the urge of alternative energy sources and powerful batteries to save it. 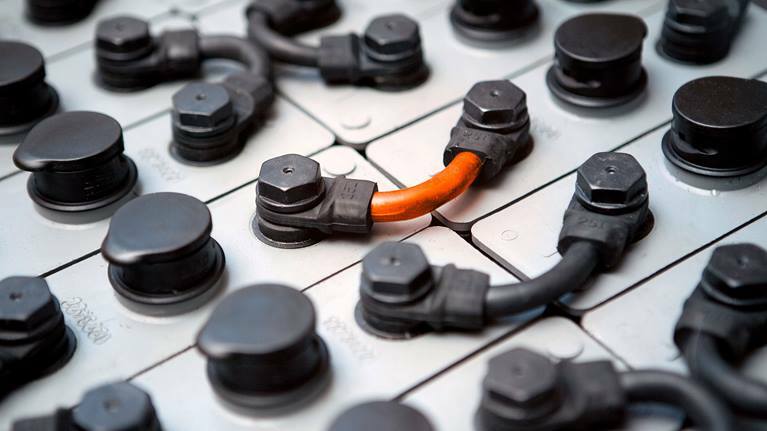 The production of batteries and photovoltaics are the main fields in the energy sector that show stable growth, while the sector of electromobility is occupied with the energy accumulation issues. 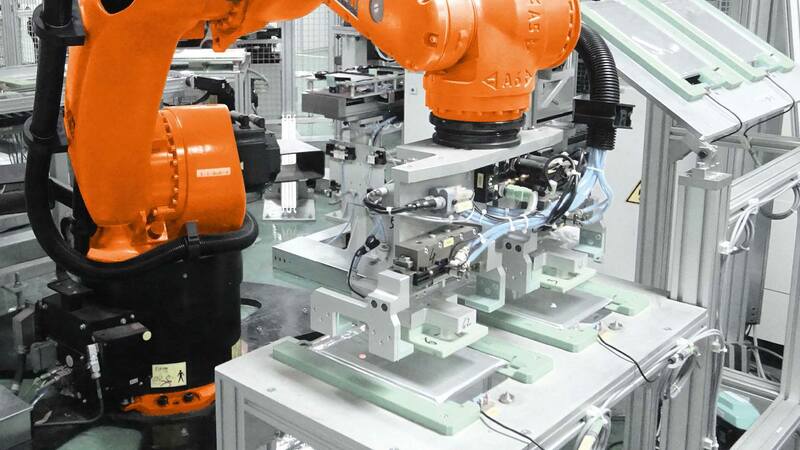 In the KNN systems, we offer you all kinds of KUKA equipment starting from versatile individual robots to all-inclusive ready-to-use production lines. The KNN systems successfully designs solutions that automate manufacturing of the battery modules in power industry. This requires tackling complex technological tasks: expertise in manufacturing of battery modules and battery systems (“packages”), and vast experience in erecting efficient production lines. For years KUKA is known to have been using the proven technologies to cope with the most difficult challenges. They deliver the highest achievable precision to any operation. This provides the highest product quality and reduces the risk of rejects. Manufacturer can use them 365 days a year, three shifts at a time. They diminish the “human factor” at repetitive works, that require perpetual accuracy and labour safety accommodations. The KNN systems is the certified KUKA robotics supplier and integrator contributing to your enterprise ostentatiously strong and sustained growth. In the KNN systems, each automation project for manufacturing is deemed to represent a unique instance of our package. Thus, each customer gets a customized technical design of their robotic system, proficient integration of the solution, and all-around support.